Grape harvesting mark the end of summer and the beginning of Autumn. When they are collected many households will make teaspoon sweets and stock it for the winter. We always had a jar as a kid and I continue this tradition with the exception I make more than 2 jars. 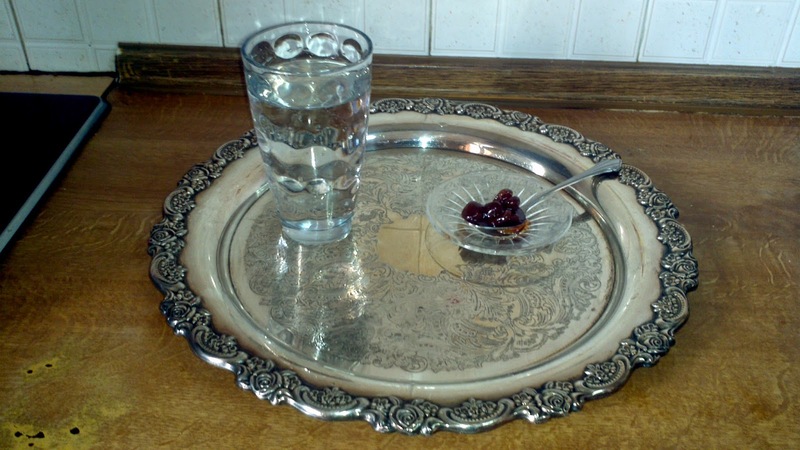 In Greek tradition, usually, this sweet is served to people who come to your house for the first time but any time and anywhere is good. Some taverns serve this after dinner as a thank you. The sweet scent of this recipe will linger for about two days in your house. It will feel like your in heaven. 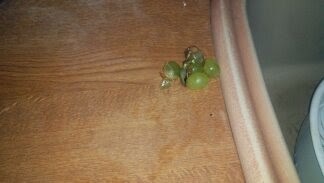 From your grapes disregard any that don't look right. 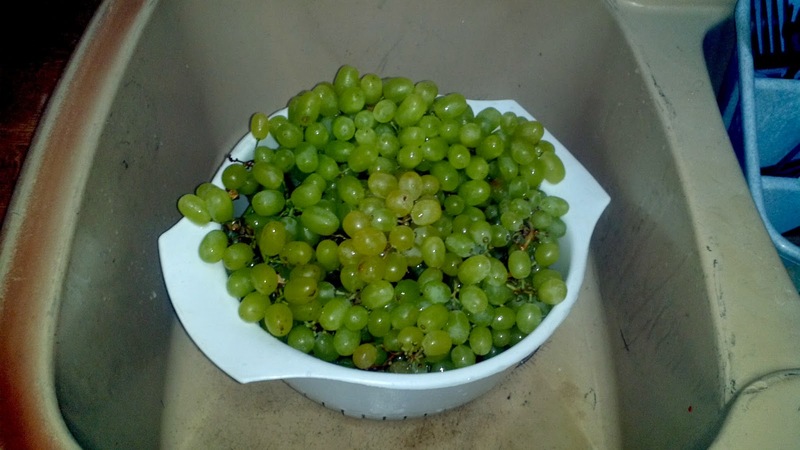 Place your grapes in your 8 quart pot and place under the sink, under running water, fill it to the top. 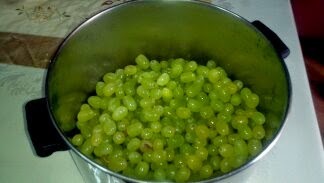 Once your pot is filled, place your 1/2 cup vinegar and let the grapes soak for about 15 minutes. 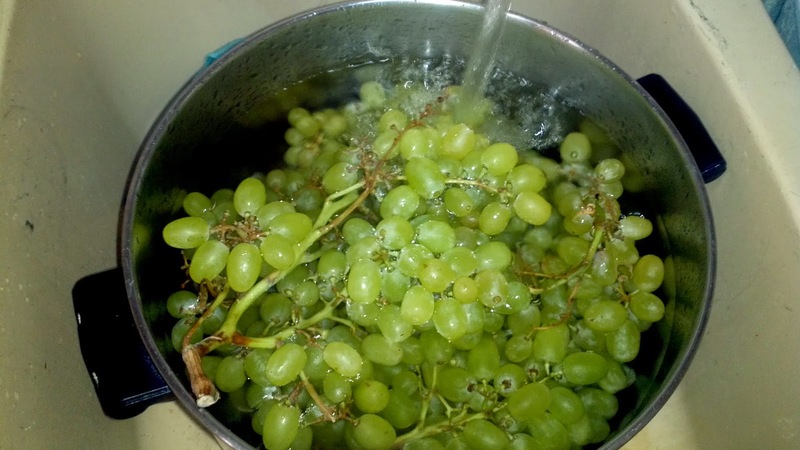 The vinegar cleans the grapes. Place in colander rinse and let them drip dry. Pick all your grapes off the vine and place them in your 8 quart pot. Once again disregard any bad ones. Add all the remaining ingredients except the vanilla. Out of 4 pounds these were all the bad ones I had. 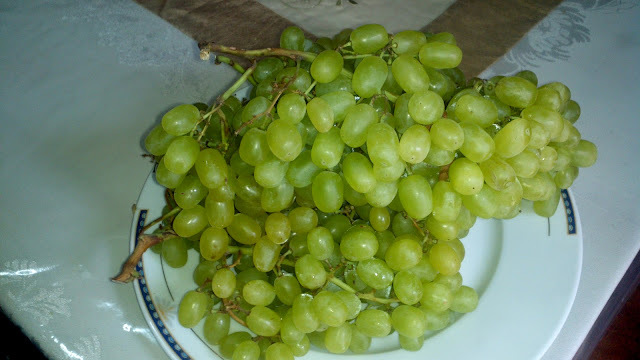 TIP: Grapes must be seedless or the result will not be as good. I have done this and I had to take out all the pits with a ladle, so they have to be seedless !! 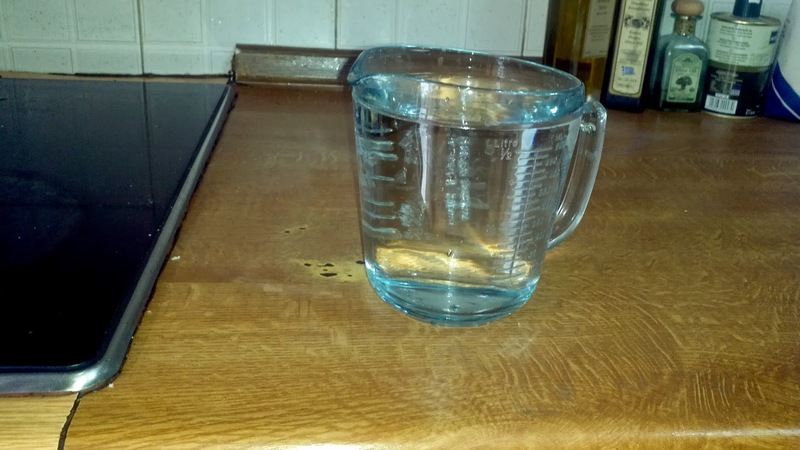 I used this measuring cup. 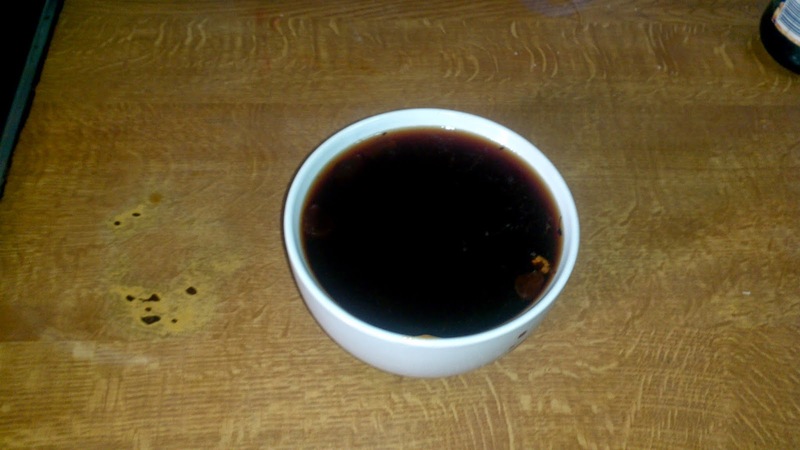 It's a 2 cup measurement, Add 8 cups water I added 10 and I had a lot of syrup left over, this is not a bad thing, it's a very good thing it just makes a bit difficult to take your sweet out. If you have to much syrup you will have to use a ladle with holes to place your sweet in a jar. 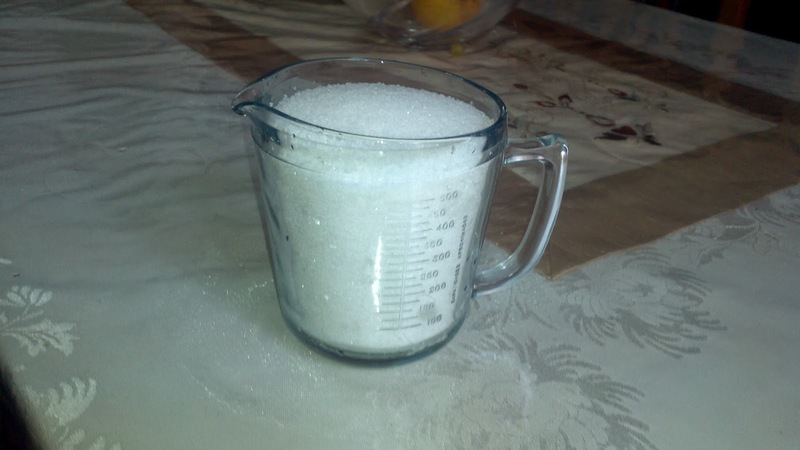 Add 4 cups of sugar, I added 6 and it was too sweet. This is the type of vanilla I used, I will repeat this if you are in New York take a walk or a drive to Astoria you will find all Greek ingredients, if you don't have this use regular vanilla extract, it's just that the above is a bit more tangy the scent and the flavor come out better. You add the vanilla when it's almost ready. Now place your pot on your stove and cook on high for an hour and 15 minutes. Depending on water and sugar ratio. You can use a 6 quart pot but I prefer an 8 quart because nothing spills over. 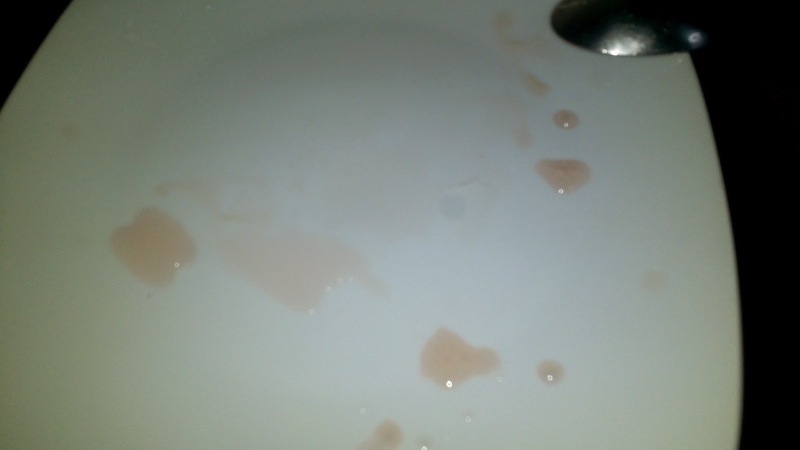 Your teaspoon sweet is ready when a pink color starts to from and it drips making drops on a plate. Don't let cook too long or it will caramelize. 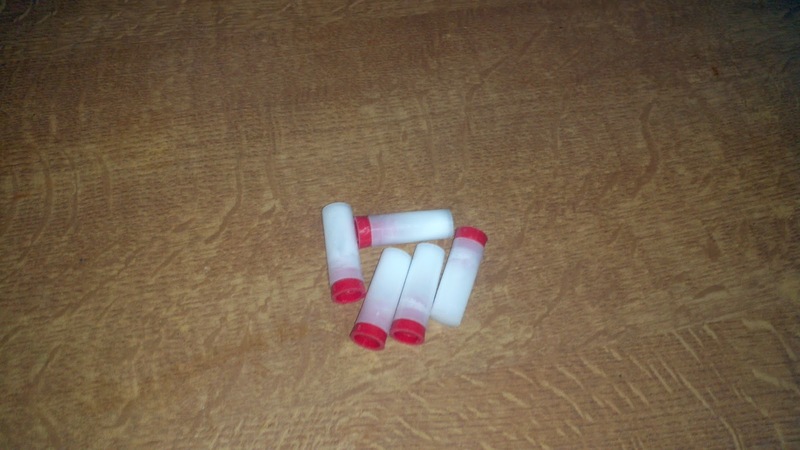 When these drops form your sweet is ready ! Let it cool for a few hours or till the next day. This is how we serve it and why it's called a teaspoon sweet. 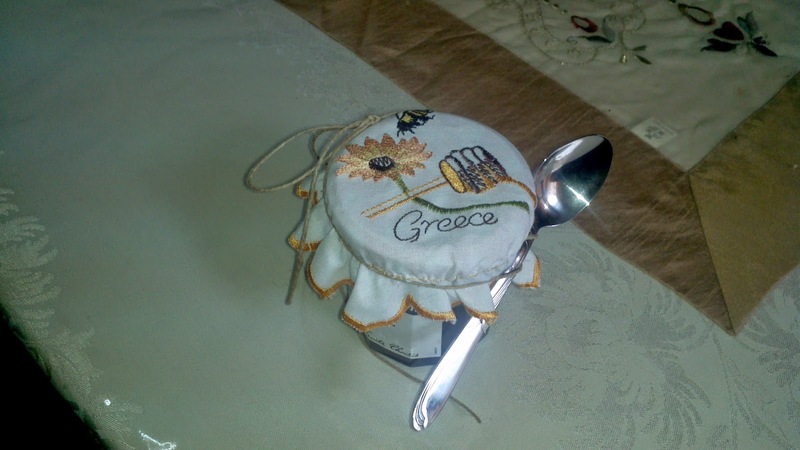 If you have syrup left over without the grapes you can place it in a jar and use it as a spread with butter or in yogurt. It's remarkably delicious !! You can place in a jar decorate as above and give it as gift. They also make wonderful family and even corporate gifts. Who doesn't love homemade products ! Wow! I'm so curious to try this! I love Greek cuisine so I'm pretty sure this won't disappoint. Wow, I've never known about making anything like this before. It looks really delicious. I love your cute packaging at the end. Thank You ladies for your kind words. it is delicious and you can even spread on bread with butter it's so tasty !! I'm going to have to try it for bread! I've never heard of this! Looks so interesting. Would love to try it. Oh wow, I've never seen this recipe anywhere before. Thanks for sharing. I have never heard of this before!! They look so great! I'll have to try making them! I made two jars last Friday and 1 jar with the syrup, Now it's Tuesday and I have nothing left not even a drop to taste. I will also try to make a fig sweet for you my readers. I have never heard of or seen anything like this. I am intriqued!! Thank you for sharing this with us at the Merry Monday Link Party!! I'm telling you this is heaven !! :) Thank You all for stopping by. I have never even heard of this but it looks so easy... and yummy! Plus I have grapes coming out my ears! Will definitely be trying this! 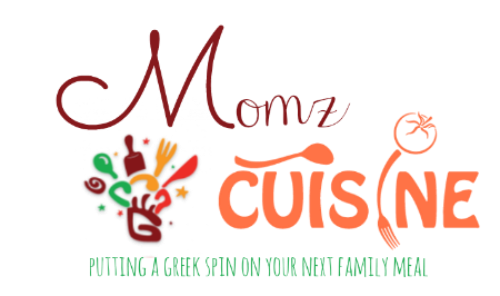 Thank you for linking up to Creative K Kids Tasty Tuesdays I am going to pin this to my personal dips and sauces board and the Tasty Tuesdays board. Have a great weekend! Thank You Sydney so much, have a great week ! !